The information, products, and services included on this Website may include inaccuracies or typographical errors. Changes are periodically added to the information and contents herein. Tboox may make improvements and/or changes in or to this Website at any time. Any advice, product placement, reviews, testimonials and/or endorsement contained in this Website should not be relied upon for personal and you should consult an appropriate independent professional, industry experts for specific advice tailored to your requirements or needs. The prices, quantities and delivery time stated in any quotation are not binding on the Company. They are commercial estimates only which the Company will make reasonable efforts to achieve. Please bear in mind that all quotations sent is valid for only 7 days and pricing may change. Tboox has the right to requote on the 8th day onwards. The Company shall be entitled to sub-contract all or any part of the work. Name, trademarks and copyrights are properties of their respective manufacturers and/or designers. 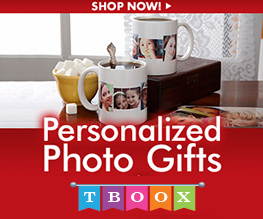 Tboox is only a company that sells the products you see online. i. All invoices of the Company shall be paid by the Client within fifteen (7) days of the date of invoice unless otherwise agreed in writing by the Company. In the event of late payment, the Company may charge interest on the amount outstanding before and after judgement at the rate of four (4) percent above the Base Rate in force from time to time from the due date until the date of payment. Alternatively, for invoices unpaid 30 days after the due date, the Company may impose a surcharge equal to 2.5% of the outstanding amount. ii. If any amount of the invoice is disputed by the Client, the Client shall inform the Company of the grounds for such dispute within seven days of delivery of the goods and shall pay to the Company the value of the invoice less the disputed amount in accordance with these payment terms. iii. Where the Company requires payment of a deposit, the Client acknowledges that the deposit is not returnable. iv. All fees are exclusive of value added taxes which will be added to invoices where appropriate. v. The Company reserves the right to increase a quoted fee in the event that the client requests a variation to the work agreed. i. Delivery by the Company will be deemed to have taken place when the materials are handed to the custody of the Client at his premises or to a deputed messenger or courier when posted. The Company will be entitled to charge the Client for any expenses of delivery other than normal postage charges. All written notices to be served on or given to the client shall be sent or delivered to the client's principle place of business/home and shall be treated as having been given upon receipt. The Company will take all reasonable steps to ensure the protection from loss, damage or destruction of the services or materials it supplies to the Client (or which may be received from the Client). However, Tboox will NOT be held responsible for any goods that are lost or damaged in the mail. i. Unless agreed and indicated in writing by the Company, the Client (and their clients) shall be entitled to use the services and materials provided (i.e. the samples) only for the purpose of conducting market. The Client shall not otherwise be entitled to store, pass on (whether to his/her client or other person) or use these services and materials. ii. The Client shall bear responsibility for ensuring that all usage of information contained within any samples is in accordance with and does not contravene any Data Protection or other laws, regulations or other trade customs and practices. The Company bears no liability for any omissions or faults in these respects. i. The Company warrants that it has the right to provide the Goods but otherwise the Goods are provided on an "as-is" basis without warranty of any kind, express or implied, oral or written including, without limitation, the implied conditions of merchantable quality, fitness for purpose and description, all of which are specifically and unreservedly excluded. In particular, but without limitation, no warranty is given that the Goods are suitable for the purposes intended by the Client. ii. The Company warrants that the Goods will be supplied using reasonable care and skill. The Company does not warrant that the Goods supplied are error-free, accurate or complete. i. The Company shall not be liable for any claim arising out of the performance, non-performance, delay in delivery of or defect in the Goods nor for any special, indirect, economic or consequential loss or damage howsoever arising or howsoever caused (including loss of profit or loss of revenue) whether from negligence or otherwise in connection with the supply, functioning or use of the Goods. Any liability of the Company shall in any event be limited to the licence fees paid by the Client in the year in which the event of default arises. ii. Nothing herein shall limit either party's liability for death or personal injury arising from the proven negligence by itself or its employees or agents. iii. The Client shall fully indemnify the Company against any liability to third parties arising out of the Client's use of the Goods.